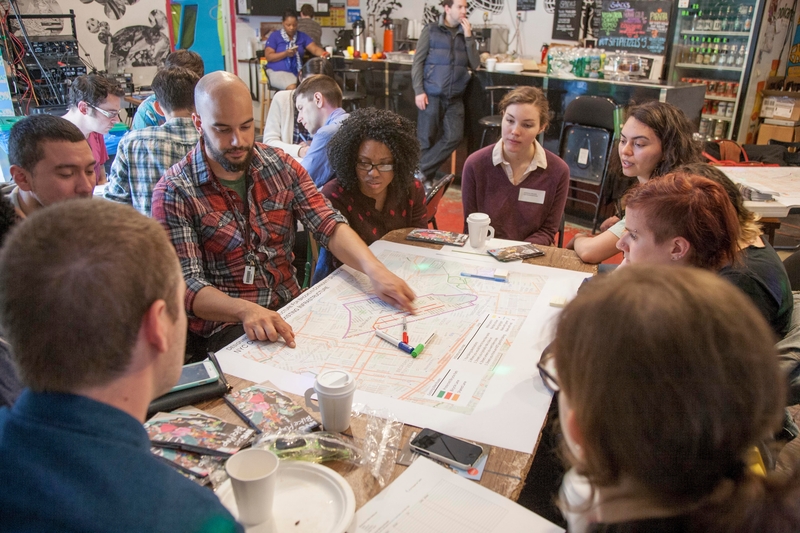 NYC DOT held its second community workshop at the Silent Barn on Bushwick Ave on May 9th, 2015. Attendees participated by idenitfying difficult streets and intersections for biking and proposing their own community bike network. NYC DOT will analyze and integrate workshop feedback into the planning process. Be sure to check out the presentation and the event photos.